San Diego Mayor Kevin Faulconer has emerged as one of seven co-chairs for Republican moderate Marco Rubio‘s presidential campaign in California. Though the San Diego mayoral election is nonpartisan, Faulconer is a Republican. Other co-chairs include Sen. Pat Bates, R-Laguna Niguel; Sen. Jim Nielsen, R-Gerber; Sen. Jeff Stone, R-Riverside; Sen. Andy Vidak, R-Hanford; Assembly Republican Leader Kristin Olsen, R-Modesto; and Assemblyman Scott Wilk, R-Santa Clarita. Rubio also recently received an endorsement from Rep. Darrell Issa, who represents coastal San Diego and south Orange counties. 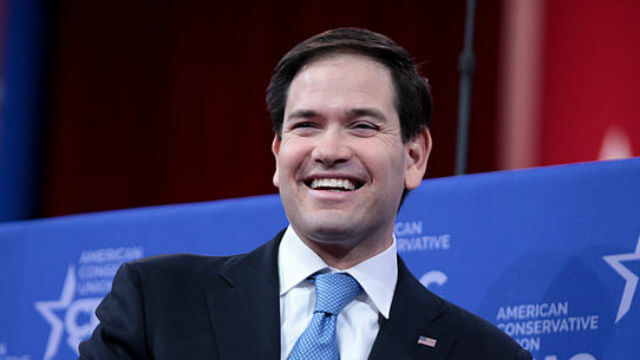 Rubio is third in the race for the GOP presidential nomination in an average of national polling data compiled by RealClearPolitics.com, trailing real estate developer Donald Trump and Sen. Ted Cruz from Texas.